November 11th--Veterans Day (fitting, yes?) --is the last day you can purchase an e-copy of the critically acclaimed* Pets in Space anthology and have 10% of the profits go to assist Hero-Dogs.org. Hero Dogs is an organization that provides service dogs and companion animals to disabled military veterans, and we want our contribution to Hero Dogs to be as large as possible to help this great organization! What a great way to honor our military vets for Veterans Day! "I haven't been this excited about a book in years!" "Wow! 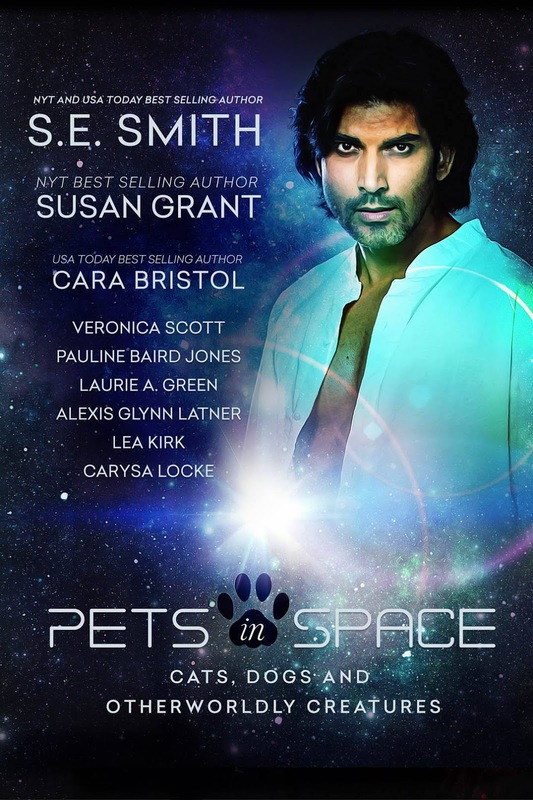 I love, love, love the Pets in Space!" "Did I like this collection? No, I LOVED it!" "This is not only a wonderful collection; it's also a fabulous bargain!" "Was I entertained? Completely! Fabulous entertainment and an awesome read!" And there are more than 50 reviews on Amazon alone. You can read them right here. So in case you've been out exploring the Andromeda Galaxy for the last month and haven't had a chance to grab your copy, I'm including a recap of the nine fantastic Pets in Space stories below so you can see all the fun and adventure you've been missing. Plus! Many of these tales tie directly to other SFR series and act as wonderful introductions to these imaginative universes as well as being delightful stand alone stories of their own. Most are much more than just short stories--many are novellas and novelettes--and the total anthology is a hefty 165,000 words! Graig Roble is the Senior Commander of security for the Guardian Fleet. His expertise as a weapons specialist and combat master is his world, what he was born to do - or so he thought until he finds his resolve and focus inexplicably wavering. Even returning to his position aboard the Atlantis can't save him; if anything, it has left him questioning his own motives. He never thought that could happen until he met Simone Campbell. Simone's focus is on her home world - Earth. She thought her life was full with her research as a botanist. After all, she always believed that helping the people of her world become self-sufficient should take all of her concentration - except it doesn't. There is one man that keeps pulling her attention, and her heart, away from her job. Graig's gift of a puppy to keep her company does more than that, it keeps him in her dreams. How can such a simple gift bring her comfort and make her long for more? Graig and Simone are about to find out that sometimes love can blossom from the smallest, furriest ties.